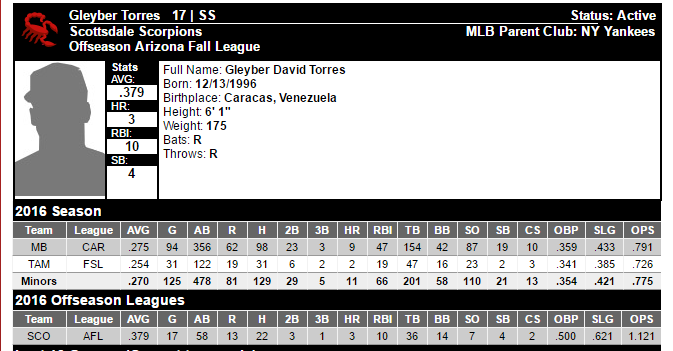 The New York Yankees are well on their way to having two of the last three Arizona Fall League MVP Award winners with the impressive fall that Gleyber Torres has put together. 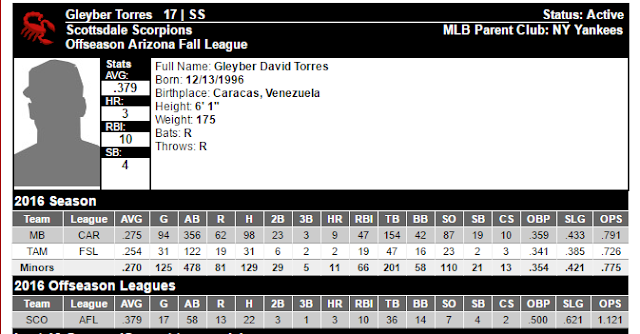 Torres has defied expectations and has excelled against advanced pitching and talent and all signs point to him joining the 2014 Arizona Fall League MVP Greg Bird as two Yankees to win the award in recent years. The AFL and success down there has shown to be a precursor to future and almost immediate success in the Major Leagues in some cases so this is nothing but good news for the Yankees and their organization.